Nel 1609, Galileo Galilei inizio l'eperienza osservativa del cielo stellato con uno strumento chiamato TELESCOPIO. dopo 400 anni per celebrare L'ANNO INTERNAZIONALE DELL'ASTRONOMIA, CELESTRON offre il telescopio portatile Firstscope 76, tributo al grande scienziato italiano. 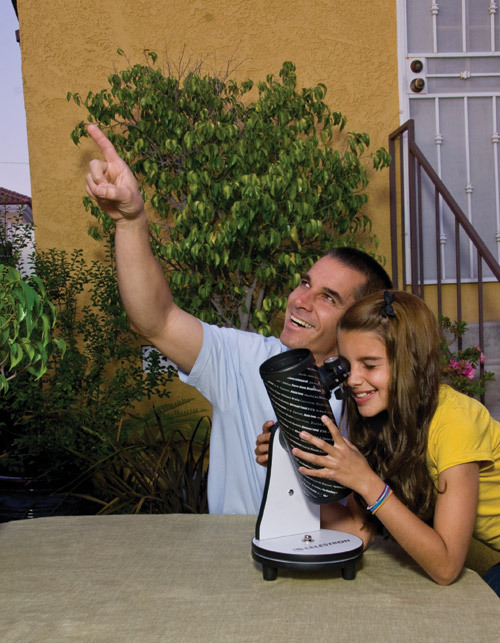 FirstScope Telescope - General Features •Named Official Product of International Year of Astronomy 2009, FirstScope pays tribute to the men and women who brought us one step closer to understanding the universe around us! 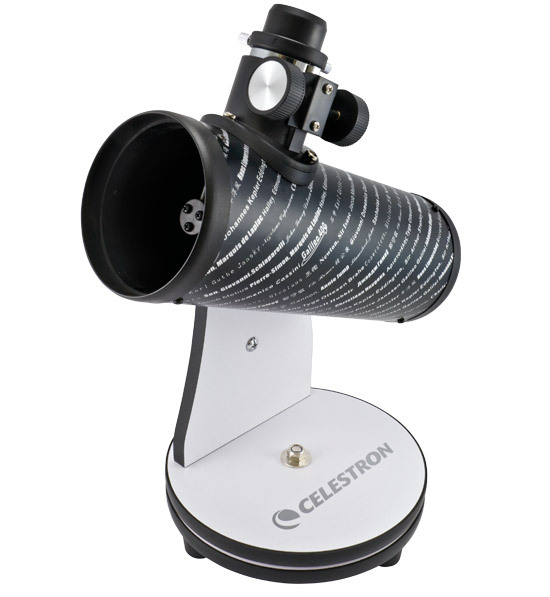 •High quality Dobsonian style stand with a 76 mm reflector optical tube make FirstScope an ideal entry level astronomical telescope. 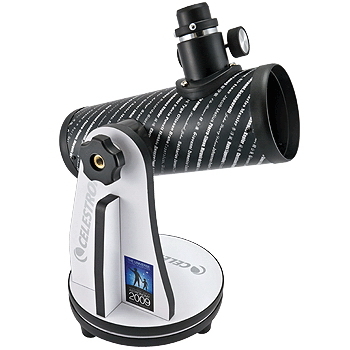 •Portable and lighweight table-top design makes it easy to store, transport and setup your FirstScope Telescope •FirstScope is very easy to observe with, the user simply navigates the night sky by moving the tube in the direction of their desired object. •Stylish and decorative design makes FirstScope a wonderful keepsake for anyone interested in astronomy.